I’m a keen angler looking to explore and enjoy myself in Mackay. As a journalist here I am looking forward to being involved and entrenched in the issues within this community. ACTING Gladstone Region mayor Chris Trevor says Gladstone workers have been "dudded" out of work at Adani's Carmichael mine. "Obviously we congratulate Rocky, it's a great news for them, but the announcement has left a very sour taste in our mouth," he said. Mining juggernaut Adani announced Rockhampton and Townsville as joint fly-in-fly-out worker hubs for the Carmichael Mine project near Clermont this morning. Cr Trevor said during the submission process for the FIFO hub, Gladstone Region Mayor Matt Burnett wrote to the mining giant in support of Rockhampton's bid. 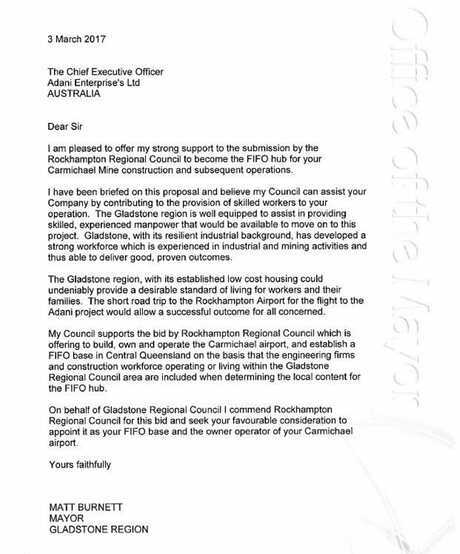 In the letter, Cr Burnett said support was subject to "engineering firms and construction workforce operating or living within the Gladstone Regional Council area are included when determining the local content for the FIFO hub". "We fully supported Rockhampton's bid to become the FIFO hub for the Adani coal mine, We provided a letter of support," Cr Trevor said. 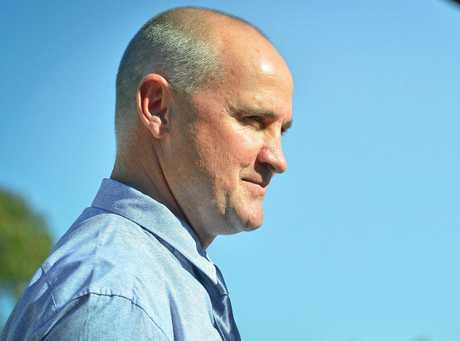 "We are absolutely livid that we have proceeded all along on the understanding from the Rockhampton Regional Council that our Gladstone regional workers would be included in the workforce," he said. "We feel dudded, that wasn't the understanding we had all along and I would be very surprised if Adani doesn't lose the Gladstone region's support over this snub." Meanwhile, Member for Gladstone Glenn Butcher says Rockhampton's confirmed status is a "kick in the guts" to Gladstone's skilled workforce and council. Mr Butcher said the Port City was the superior location for a workers' hub, given the region's experience with multi-billion dollar projects. 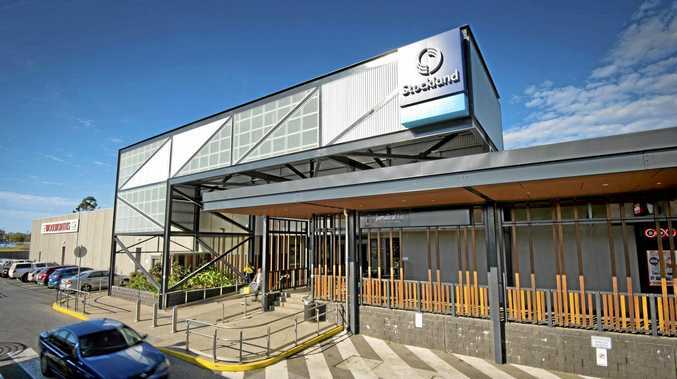 The announcement, which says workers needed to live in the Rockhampton city postcode, has angered the Gladstone Regional Council. The controversial project has been financially snubbed by Australian banks and the company's record in India was under fire following Monday's Four Corner's investigation. Mr Butcher said Gladstone had the skilled workforce needed during the construction of the mine, given the region's recent involvement in building three LNG plants on Curtis Island. 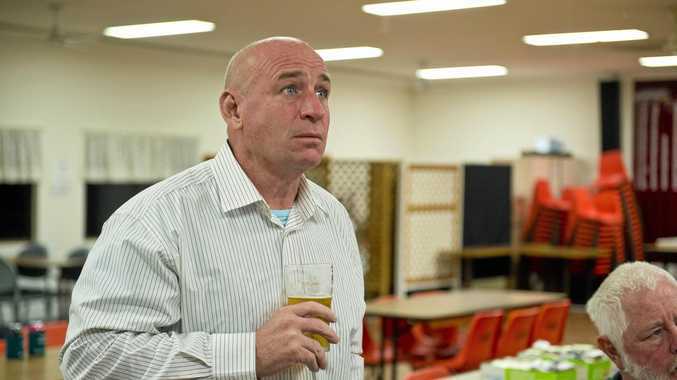 "For (Gladstone workers) to have to go up the road to Rockhampton and fly out away from their families, is a bit of a kick in the guts for them," Mr Butcher said. "It's not the end of the world, it is only an hour up the road … but it's still one of these things where you'd love to have it in your own backyard." Mr Butcher said they were still early decisions and Gladstone businesses and workers still had the opportunity to complete the work. "When the first plane full of people fly out of Rockhampton I'll be a happy man knowing that we may have some workers that are getting work in the Gladstone region and only have to go up the road a little bit to go, rather than fly across the other side of the country," Mr Butcher said.